As with many of my recipes this one came about on the fly. I was having people over for dinner one Friday night a few years ago. Before having guests for a meal I often go into a last minute panic that I will not have enough food. The funny thing is that I ALWAYS have more than enough. I am constantly sending people home with packages of food. More often than not, I have leftovers for the next two days. I do not know why this happens! I have been cooking for people my entire adult life. I have made countless Shabbat dinners. Why do I always think that I will not have enough food at the last minute. Does this happen to anyone else? In my panic I decided that I must make another dish. I searched through my pantry, found a bottle of olives and this recipe was born. The good thing is that it can be put together in no time. The great thing is that it really is delicious. One of my friends who came over for dinner that night asked me for the recipe because she liked it so much. This is also a nice recipe for Passover (right around the corner)! 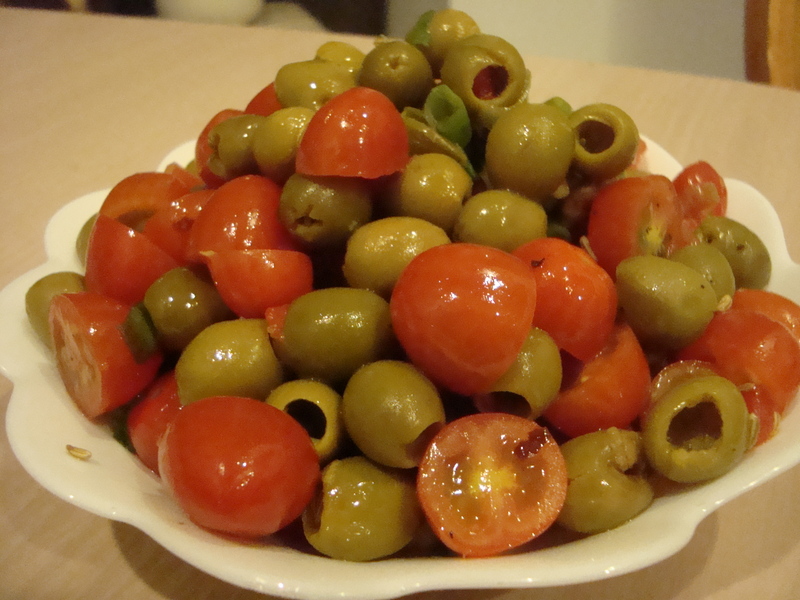 Place the drained olives into an oven safe baking dish. Zest half a lemon onto the olives and add fennel seeds, 1 teaspoon of olive oil and toss together. Seal the dish with tin foil so that the olives can steam. Bake for 10 minutes. 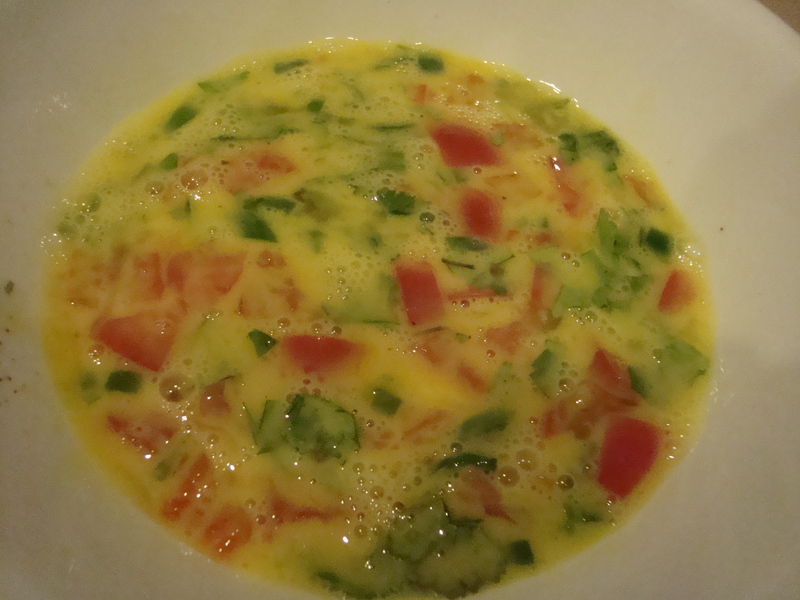 While the olives are in the oven chop the scallions and cut the grape tomatoes in half. Place them in a medium sized bowl. Add a pinch of kosher salt and freshly cracked black pepper. When the olives are ready add them along with all of their cooking juices to the bowl with the tomatoes. 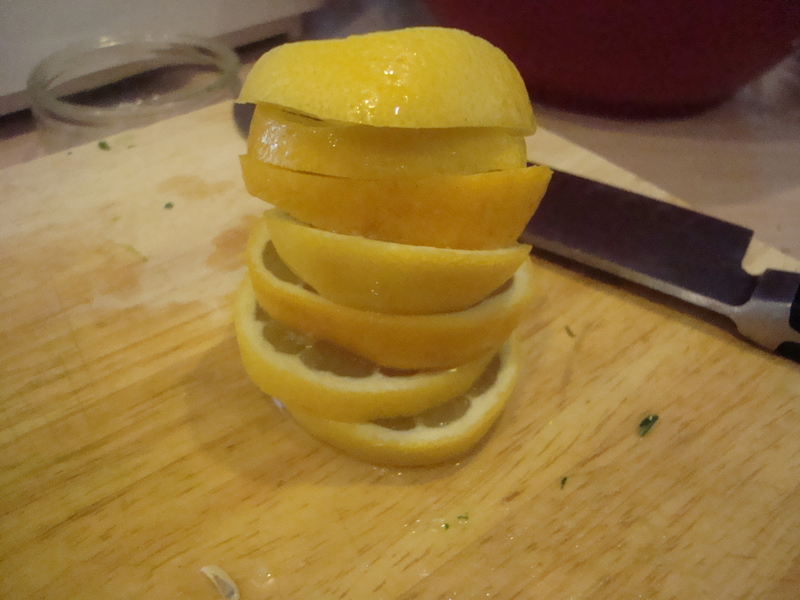 Add the juice of half a lemon, 1 teaspoon of olive oil and mix well. I would normally write a food related post this time of the week, but I had a request for this recipe. To be honest it really is one of my favorites so I was excited to get it out there. It also happens to be the first recipe that I ever wrote down. 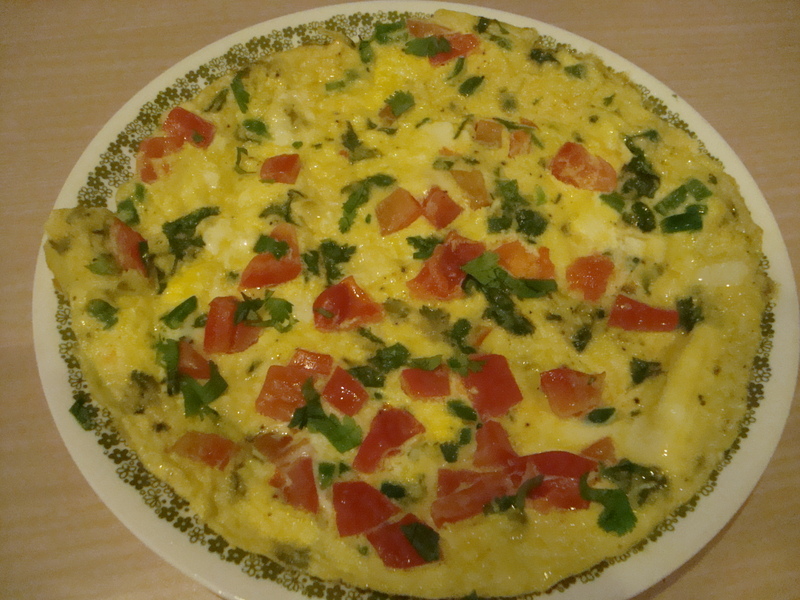 I was in college living in my first apartment and doing a lot of experimenting in the kitchen. I came up with this recipe and ended up making it at least once a week because it was so easy and delicious. One of my closest friends was making dinner for her new boyfriend and asked me for a suggestion of something easy, yet impressive that she could make for him. I thought of this recipe and wrote it down for her. Fast forward a few years, and she is now married to the boyfriend and has two adorable children 🙂 The recipe has gone through some modifications over the last decade, but it is pretty much still the same. 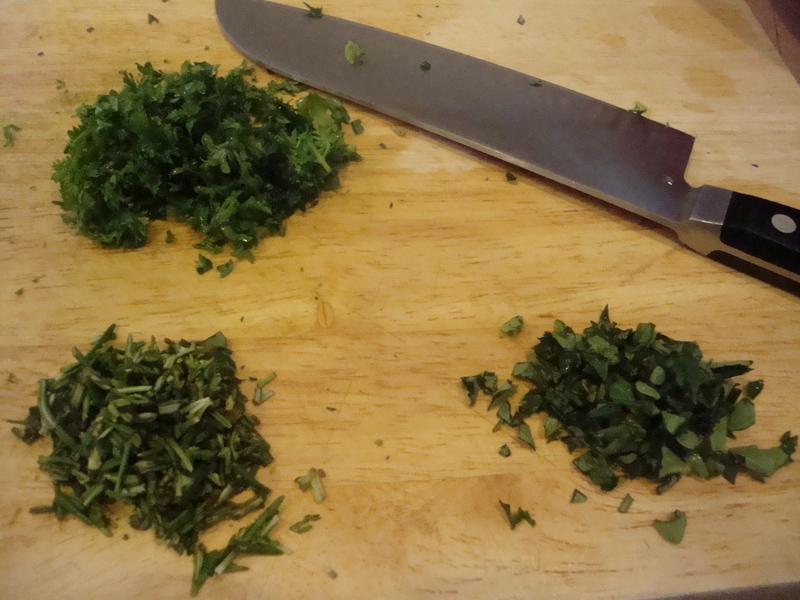 This is a time where I really do recommend using fresh herbs as opposed to dried – they really make a huge difference! There is always a great debate in my house – boneless chicken breast or bone-in dark meat chicken. I personally like the breast meat. It is quick cooking, easy to chop up and throw into a stir fry and readily takes on the taste of whatever marinade or sauce you put on it. I also do not love the taste of plain chicken and the breast has a mild flavor. My husband only eats dark meat chicken on the bone. For someone who does not know how to cook he is remarkably picky. He likes the tenderness of the bone in chicken (I admit chicken breast can easily dry out), and the fact that it really tastes like chicken. The great thing about this recipe is that it can be made with either type of chicken or with a combination of both. I mostly make a combination if I am serving it to guests as I find that people really are passionate about what cut of chicken they prefer. Another really nice thing is that this is not very labor intensive. 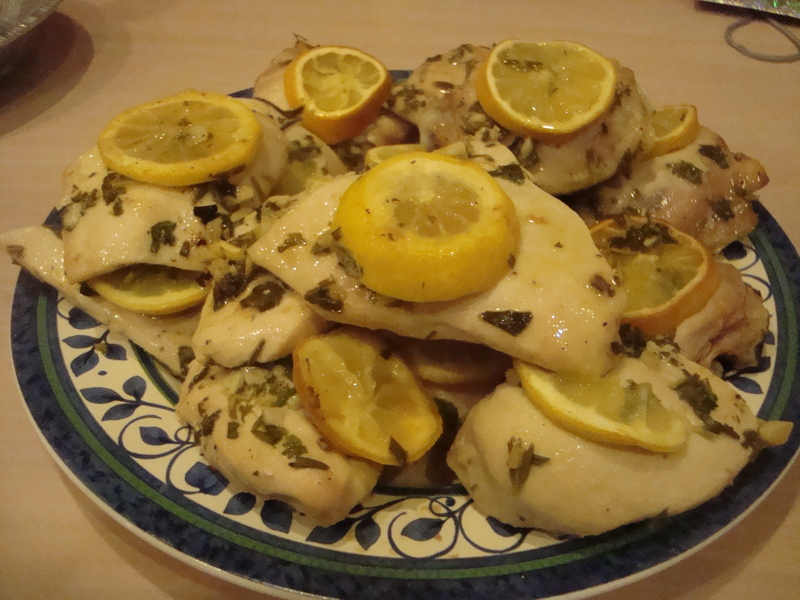 After creating the marinade there is not much to do – it just has to sit for a while and then put it in the oven. The best part is that it looks pretty when you serve it and people think it took lot of effort. It is also a great for Passover and leftovers are delicious! 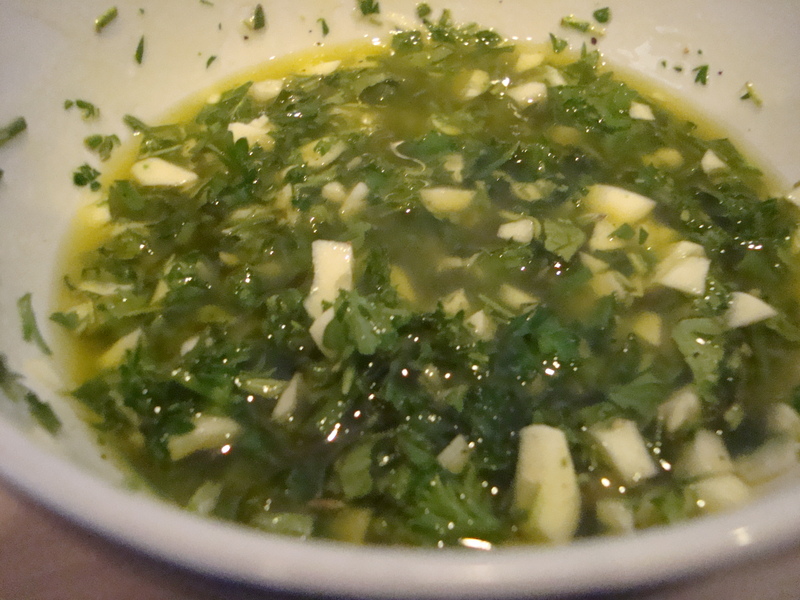 Mix together the herbs, olive oil, juice of one lemon, garlic, salt and pepper in a bowl. Pour the mixture over the chicken and marinate anywhere from 15 minutes to 1 hour. It is easiest to marinate in the dish you will be baking the chicken in (unless you are using a foil plan, then marinate in a zip loc bag and transfer to the foil pan when ready to cook). 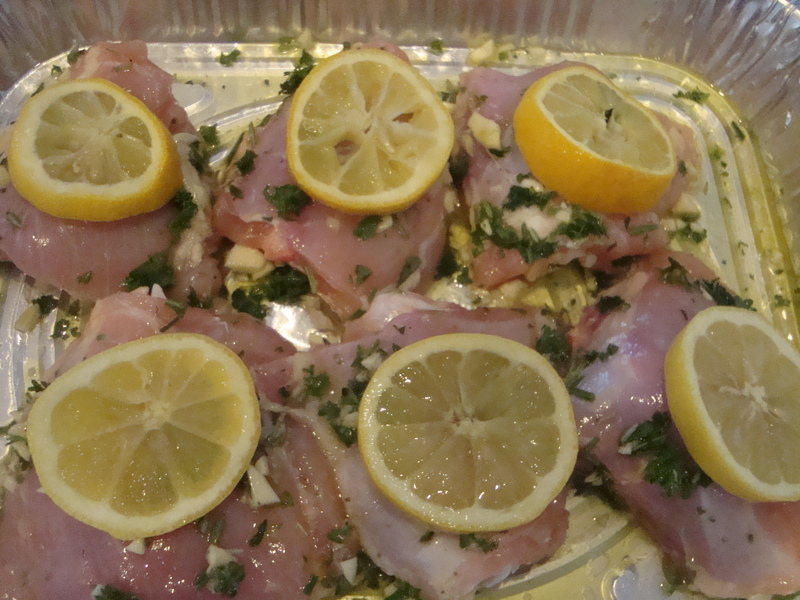 Before baking place a lemon slice on top of each piece of chicken. Cooking time will depend on what cut of chicken you are using. If you are just cooking chicken breast it will be about 20 to 25 minutes depending on size of the breast. 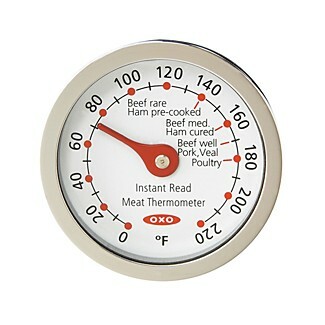 If you are using chicken thighs on the bone then it will be about 35 to 45 minutes. If you are doing a combination of chicken on the bone and plain breast make one tray of each so that you can take the breast out and can continue cooking the thighs. Cook the chicken until the juices run clear when pierced with a knife and the internal temperature reads 165 degrees F.
Before serving drizzle with pan juices and lightly press baked lemon onto chicken so that the warm lemon juices run over each piece of chicken. I did not truly realize the importance of salt in cooking until I was not allowed to use it. When I was pregnant with my son I was having issues with retaining water and my blood pressure was elevated. Doctor’s orders – cut out all sodium from your diet. Little did I know how hard that would be. It is virtually impossible to go to a restaurant and not eat salt. Most items on a menu are at least partially prepared before you order it and you would be hard pressed to find something that did not contain some salt. Forget prepackaged, frozen, canned or convenience foods – most often those are loaded with sodium. During that time I did a lot of eating at home, but could not believe the difference not adding salt to my food made to the taste of the dish. Recipes that I had made hundreds of times tasted terrible! My favorite foods tasted blah. It taught me that salt really is an important ingredient in cooking. It brings out the flavor, essence if you will, of the food. Tomatoes taste more like tomatoes, beef tastes more like beef, etc. I do not think that food needs to be overly salty, just that it should be salted appropriately. Watching your sodium intake is a smart thing to do. So, I am not recommending that everyone go out and start eating a ton of salt. I actually find that if you salt your food in stages you do not need to use a lot of salt at all. For example, if I sauté vegetables for a stew I will add some salt to the vegetables as they cook down. The salt will actually draw out the moisture from the vegetables. Then I will add a bit of salt when I add the meat. Then I will add a bit of salt when I add the broth. The end product does not taste salty at all, but tastes really flavorful. I try to use low sodium products whenever possible. Many prepackaged, frozen or canned products are loaded with salt. I would much prefer to control the amount of sodium in my food. Table Salt – This is the salt that I grew up with. 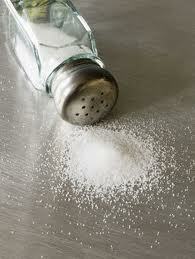 This was the salt that was in the salt shaker on the kitchen table and the type of salt my parents used when cooking. Table salt has a sharp taste and is made up of very fine crystals. A teaspoon of table salt actually contains more salt than a tablespoon of kosher or sea salt because its grain is so fine. This is also why you need to be careful of it in cooking because it can be pretty potent. The only time I really use table salt is in baking because it dissolves easily. Kosher Salt – This type of salt has a larger grain size than table salt. It is called kosher salt because of its use in the koshering process and usually contains no preservatives. This is the salt that I prefer to use as it is inexpensive and easy to grab a pinch of it with its course texture. 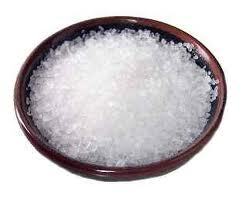 It was a pleasant surprise to me when I started to use kosher salt in my cooking as opposed to table salt. My food was so much better! I have never gone back. Sea Salt – The name says it all. 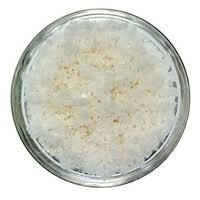 Sea salt is salt that is harvested from evaporated seawater. It receives little or no processing and the minerals flavor and color the salt. These salts are usually more expensive. It has a really nice crunch and texture and a unique flavor. When you cook with sea salt you loose the distinctive flavor so I really only use it as a finishing salt adding it only right before serving for special dishes. Beans are a superfood. They are full of fiber and protein and many beans are a great source of antioxidants. For all of these reasons I really love beans. They are perfect for salads, soups, stews and sauces. Black beans, kidney beans, pinto beans – there are so many varieties that I am sure most people can find some type that they like. They are wonderful for vegetarian dishes. 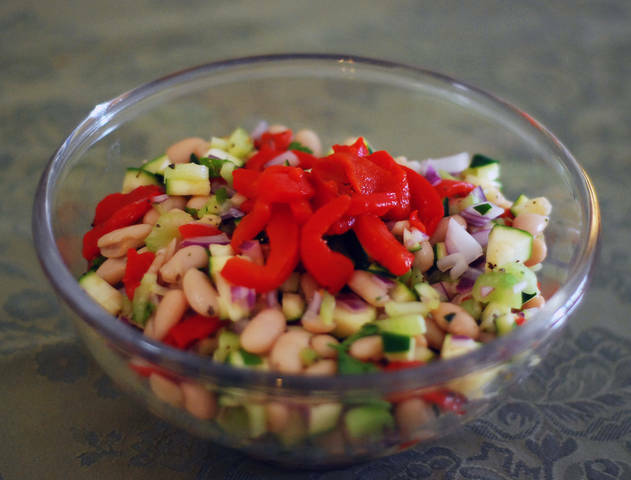 I have a few recipes that I plan to share where beans are a main component of the dish. I love the convenience of canned beans. They are a huge time saver. If you are making beans from scratch you first need to soak them for hours, then they need to be cooked for hours. Even then you cannot be sure that they will have the right texture when you are done. Canned beans have the perfect texture and only require opening up a can. I do think it is a good idea to thoroughly rinse off the canning juices before using them. I also try to buy low sodium canned beans when possible. You eat with your eyes first and this salad is so colorful it looks great even before you take a bite. It is also delicious and healthy! It is a fantastic side dish, or can be served on a bed of greens as a simple lunch. It is easy to make and very quick to prepare. When chopping the vegetables make sure they are in a small dice and similar in size. 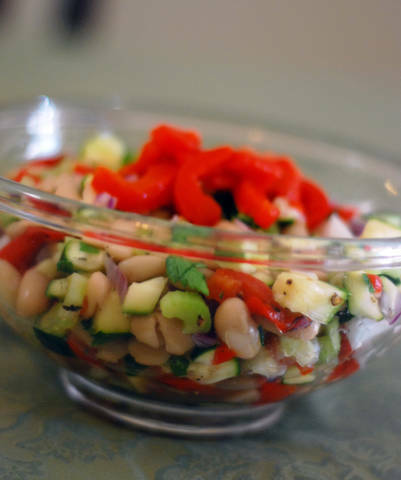 In a large bowl combine the beans, all the vegetables and parsley. To make the dressing pour the vinegar, salt and pepper in a bowl. Add olive oil and whisk until well incorporated. Pour the dressing over the beans and vegetables and stir to combine. 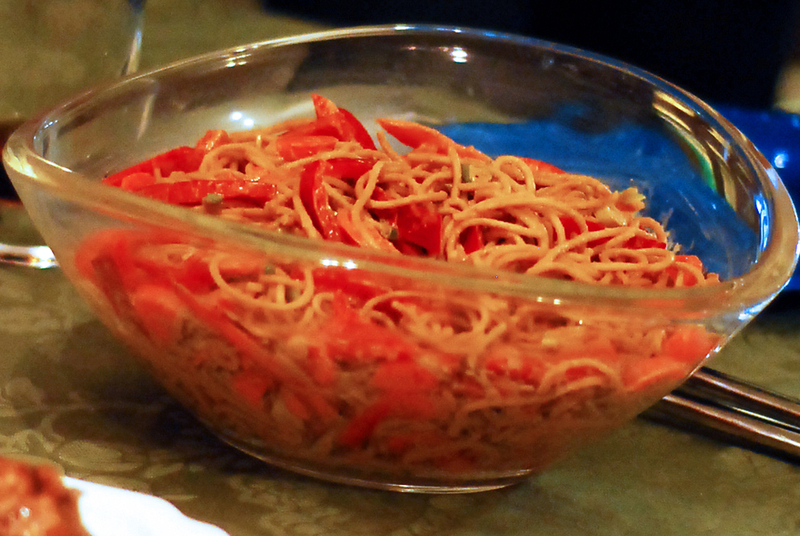 Reserve some roasted red pepper strips to garnish. I place them in a small pile in the middle of the bowl.